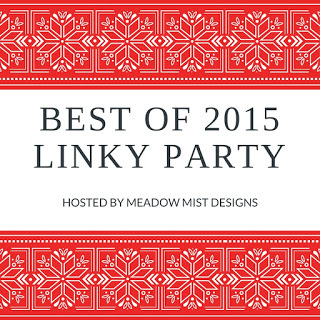 As the end of 2015 approaches, I look back on the list of projects I wanted to accomplish this year. I basically completed my list, with a few exceptions. 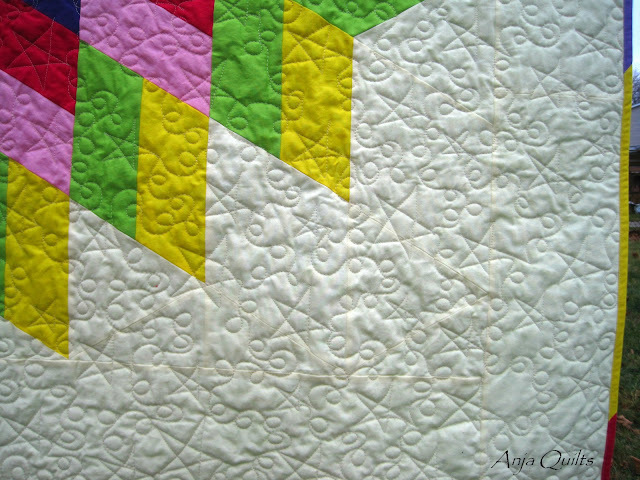 * four quilts in various stages of being pieced that I take to Sew Ins - still in progress - Perhaps if I'd stop starting new projects, these would be finished already. 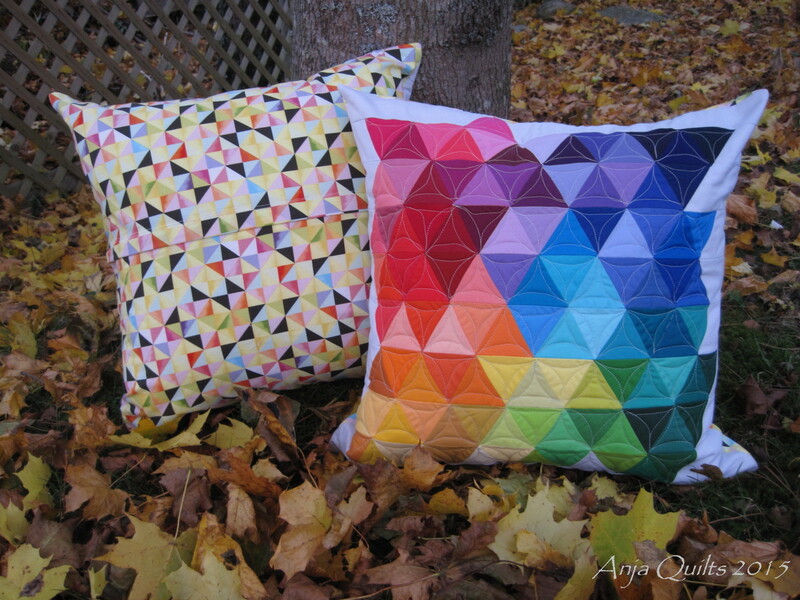 * quilt-as-you-go pillows - tossed out - No more working on projects I don't enjoy. * Night Sky from Jaybird Quilts - completed here - but only the quilt top - I haven't decided on how to quilt it, and I don't want to rush making a decision. 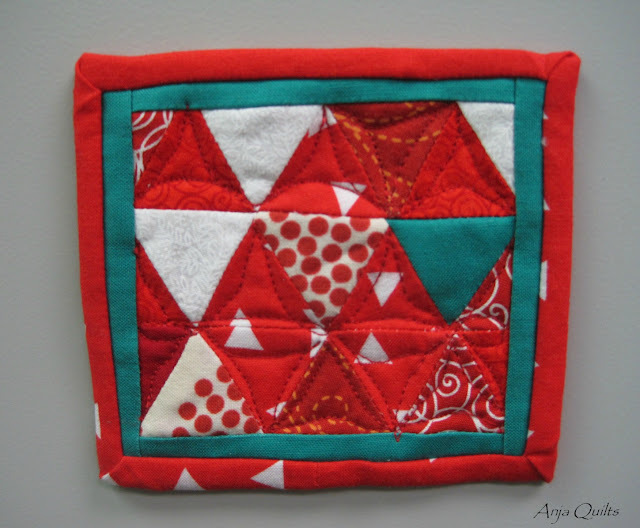 * Debby Kratovil's Block of the Month 2015 - did not start as I didn't choose fabric. I may complete in 2016. 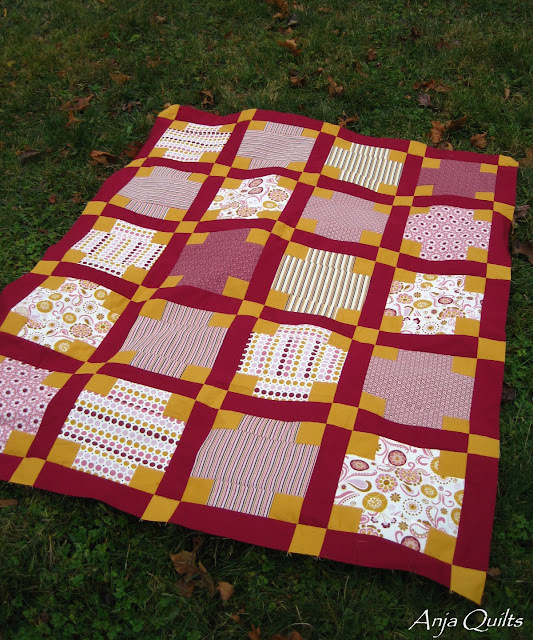 I started and completed other projects that were not on my original list. And the projects I didn't finish were as a result of my choosing not to make them. 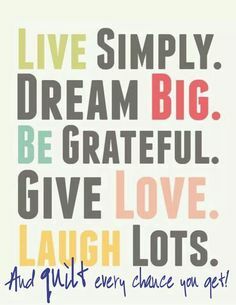 I'm working on my list for 2016. The list is just a guideline to help keep me focused so I don't lose sight of projects. I bid farewell to a wonderful 2015. And look forward to an even better 2016. Yvonne @ Quilting Jetgirl is hosting a 2016 Planning Party. It's an opportunity to think about goals, plans, and wishes for the coming year. 1. 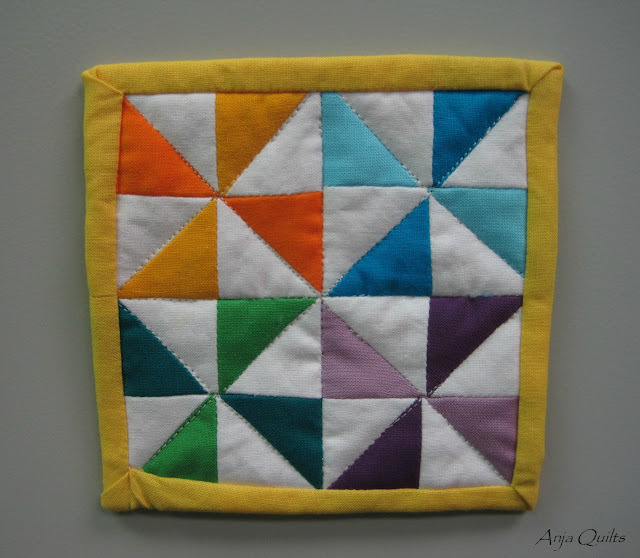 I will organize my sewing room (and keep it organized). I have been slowing sorting through my fabric and organizing it by colour. 2. 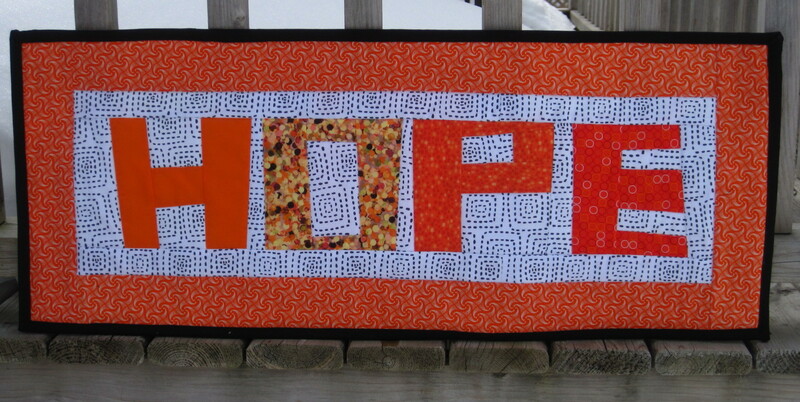 I will continue to make charity quilts for our local children's hospital. 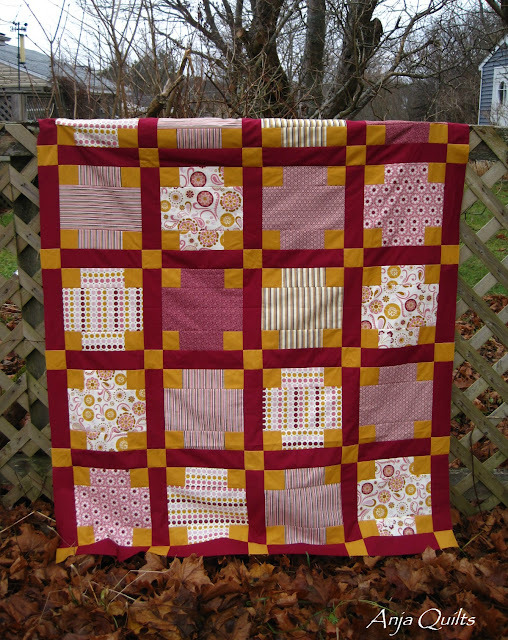 They are also in need of larger quilts for teens in the mental health section, so I will ensure that I make at least one twin size. 3. 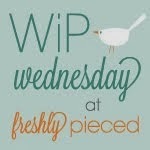 I will update my blog and learn more about how to improve the look, such as a custom logo/header. 4. I will continue to try new things. I have already joined the Mighty Lucky Quilting Club and Stash Bee. 5. 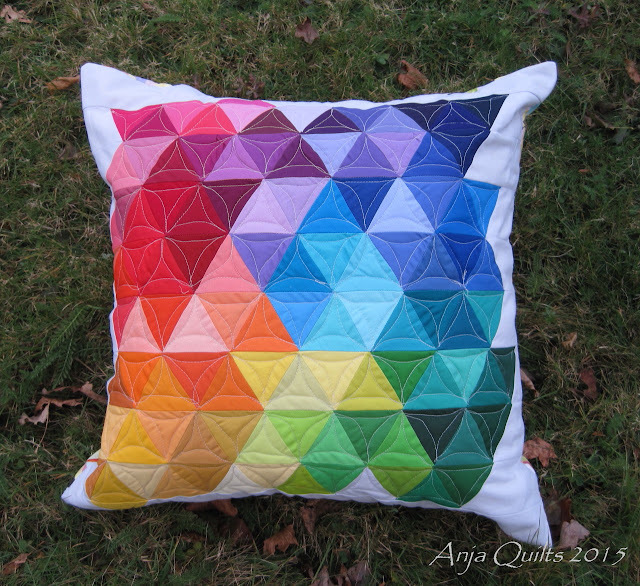 I will make pattern for the block I designed, Floored. Have you set your goals for 2016? 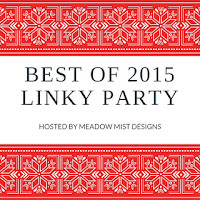 Cheryl @ Meadow Mist Designs is hosting a Best of 2015 linky party. It's a chance to reflect back on 2015. 2015 was the year of trying new things. In March, my guild, Maritime Modern Quilt Guild, hosted a workshop on improv piecing. I was a bit reluctant to participate, but decided to step outside of my comfort zone. I am very pleased with these two projects that are now on the wall in my sewing room. In April, I purchased a used longarm machine from Val @ Purple Boots and Pigtails because she upgraded to the Robot. It was partly an impulse purchase, but it's something that I secretly wanted to have but never thought I'd have the money or the opportunity. 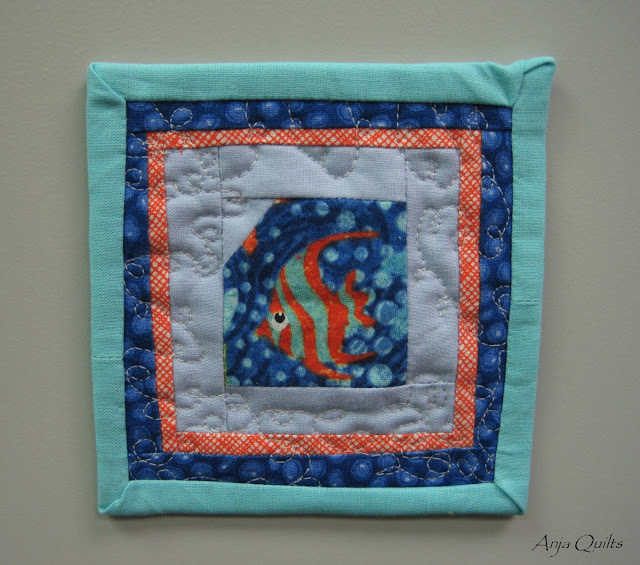 It's been fun working on my FMQ skills, and I look forward to learning more in 2016. 2015 was the the year of using lots of Kona and Jaybird Quilt patterns. 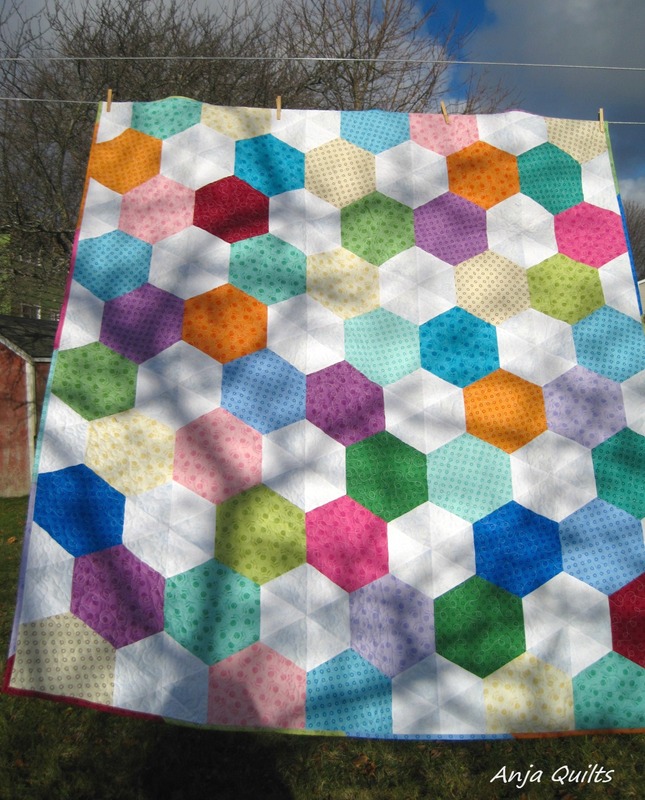 And so when Val told me she was participating in a Gravity QAL, it was an easy decision to jump on board with her. I stepped out of my comfort zone and joined the 2015 New Quilt Bloggers Blog Hop. 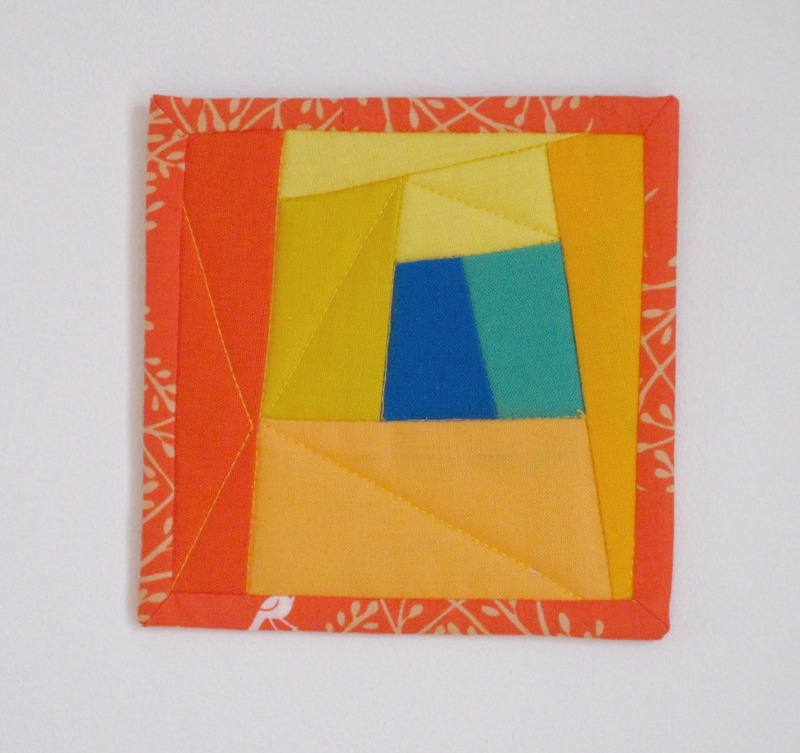 Part of that adventure afford me the opportunity to design a quilt block. My block is Floored. 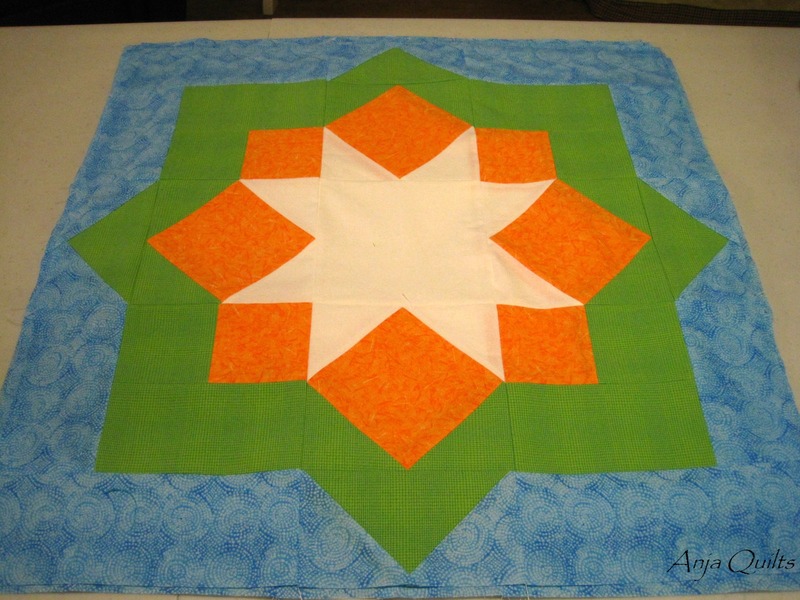 Thanks to my bee-mate Dena for helping with the dimensions and to Jayne @ Twiggy and Opal for the block name. 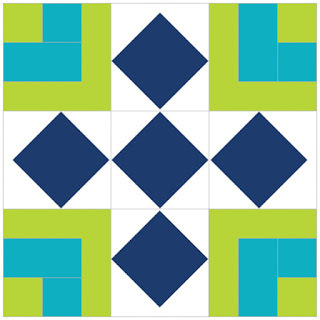 I was still riding the high of having designed a quilt block. 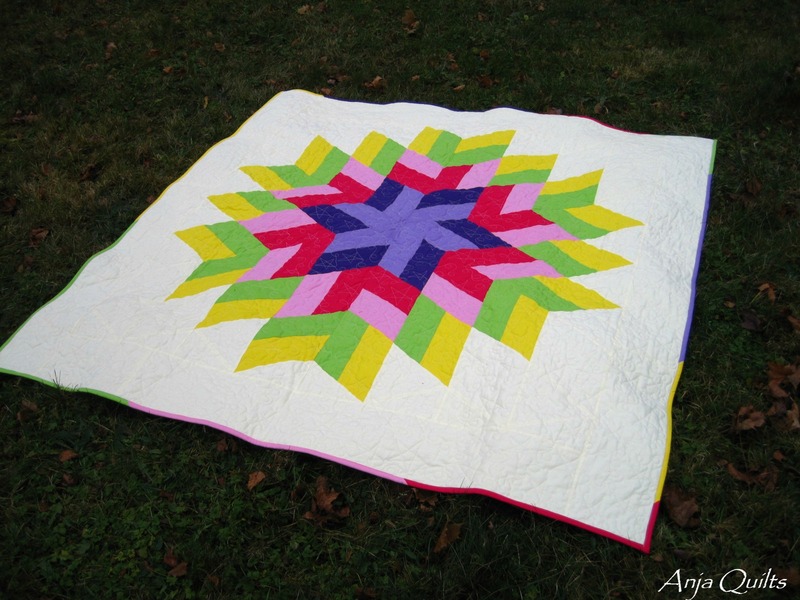 And then Stephanie @ Late Night Quilter took it to a whole new level. 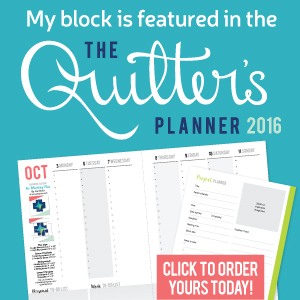 She had been designing a quilter's planner, and it was finally coming to fruition. And my Floored block was going to be featured in the planner. Pick me up off the floor. Not only was I able to design a block, but it was actually going to be in print. I would never have imagined this in a million years. I can't wait to get my hands on my planner. What were your highlights of 2015? 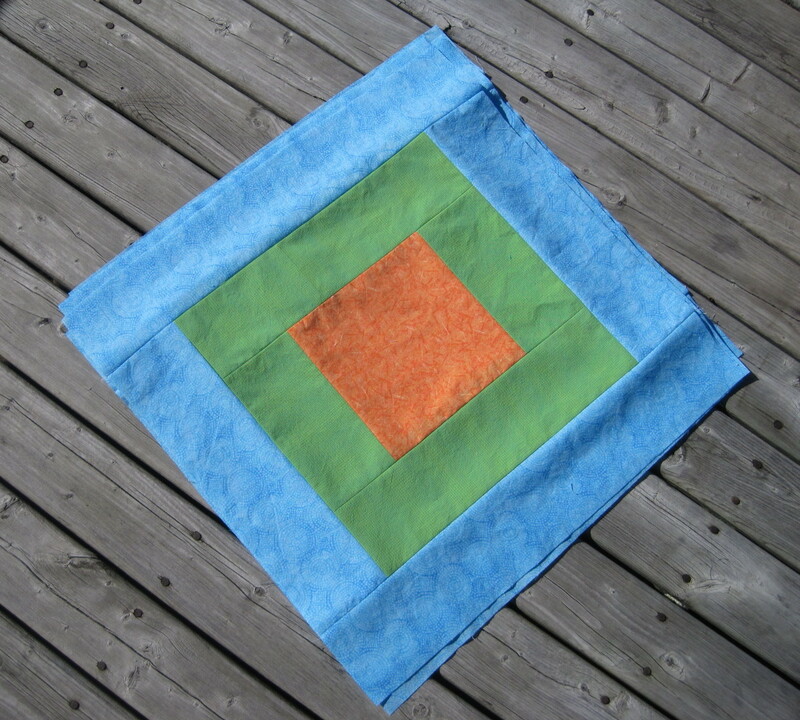 Today's Friday Finish is also my December goal for A Lovely Year of Finishes. This is the final ALYOF for 2015, and it has been great participating this year. 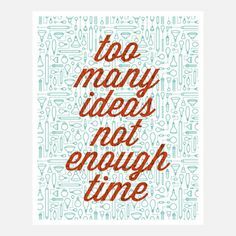 The monthly goal setting has kept me on track with projects. 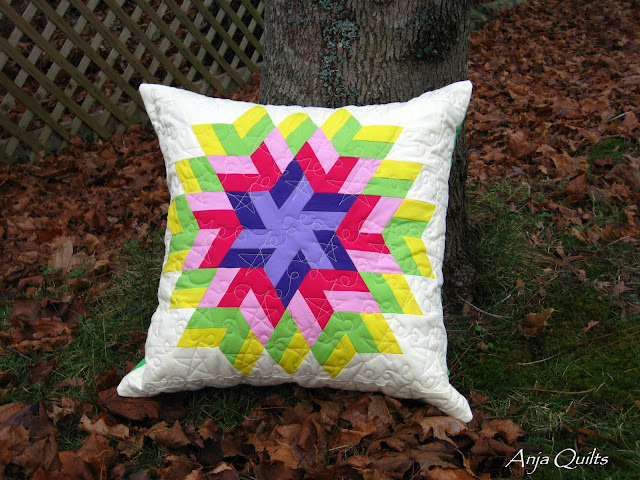 My December goal was to quilt my Glimmer quilt and matching pillow. 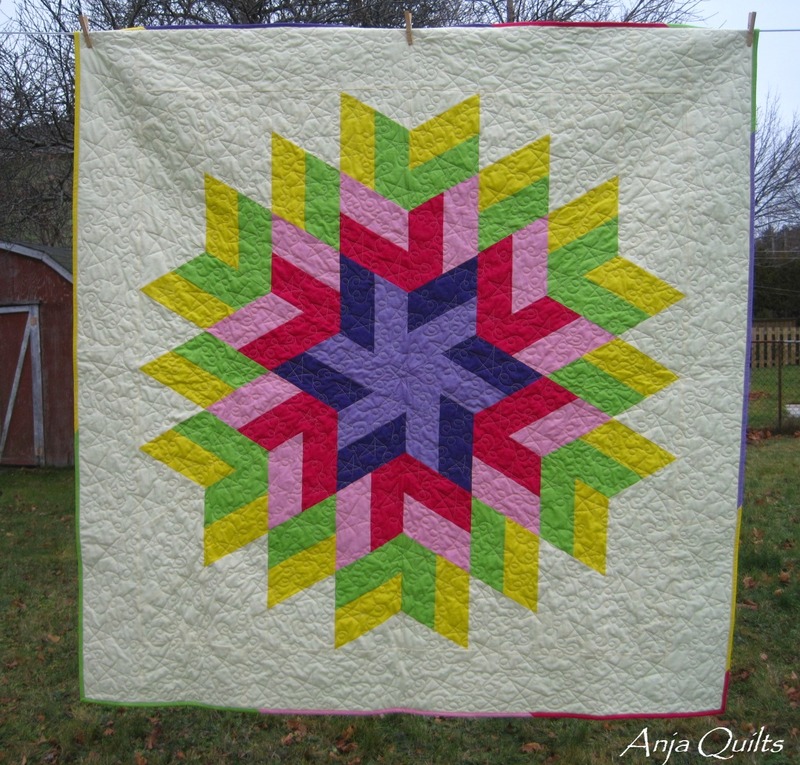 I decided to do star FMQ, with some loops thrown in. Julia @ Jada's Quilting Adventures needed someone to help test a pattern, so I offered to help out. The pattern is called Additions. I forgot to take photos during the piecing process, but luckily I remembered before I sewed the blocks together. Kona Yarrow for the win!! The pattern calls for 10 fat quarters -- two blocks from each fat quarter. I had a collection of seven fat quarters, so a couple repeat four times. The blocks create a secondary pattern. 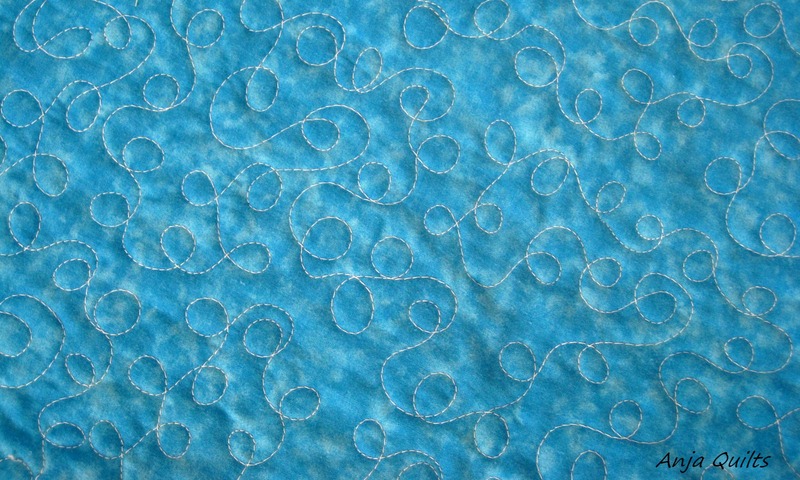 And once again, I need to decide on a quilting motif. Why is it so hard to make a decision??? 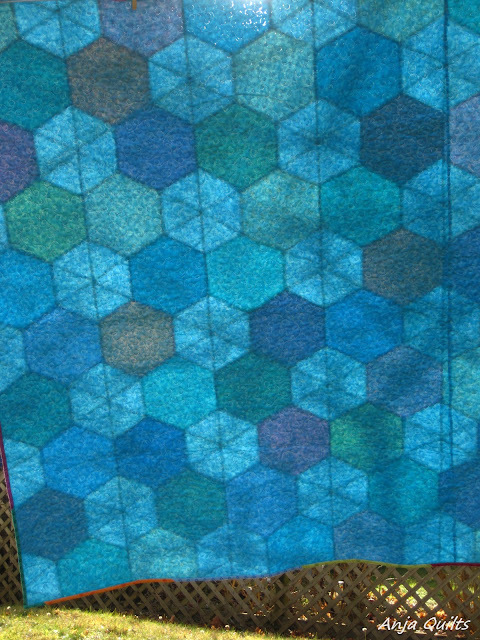 It's reversible! I think Yvonne knows that I love orange. I now have six minis, so that's a collection! Time to figure out how to display them in my sewing room. Friday Finish - The Procrastination Is Over! 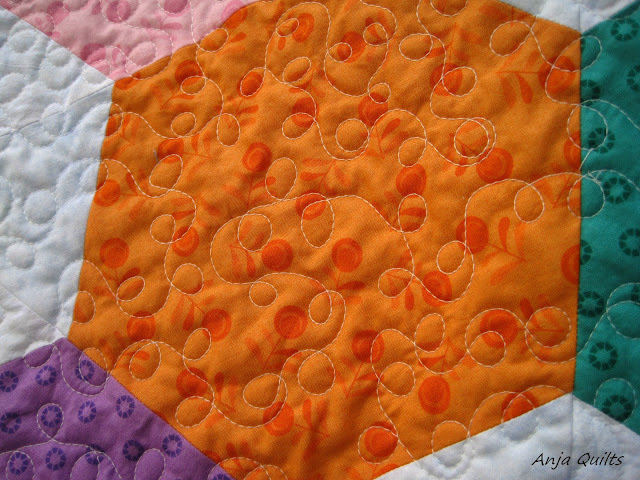 As you may remember, I have been procrastinating about quilting four quilt tops. This week, I bit the bullet and got one done!! This is Delight, a WIP from last month. I decided to do FMQ loops. 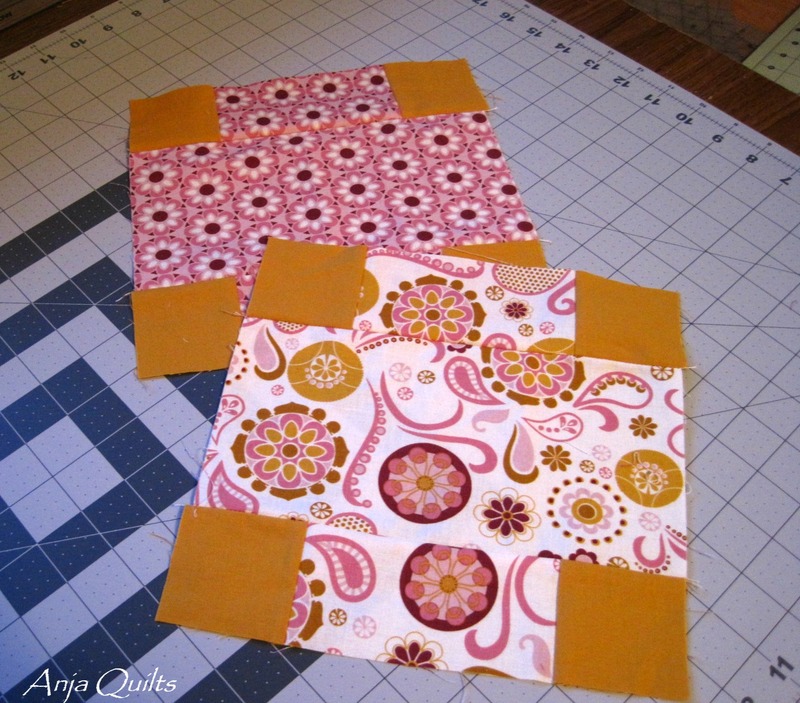 I used the leftover fabric to make a scrappy binding. 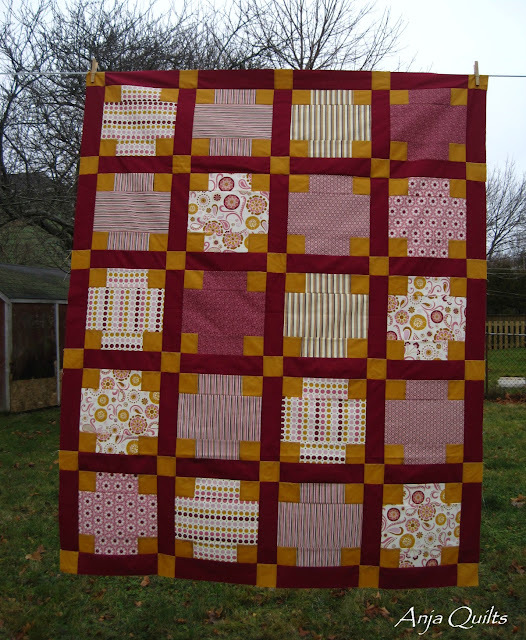 It was so windy, and the quilt would not stay put. As it was dancing in the wind, I captured a photo from the back. It looks like stained glass. I like FMQ loops! I think this will work on one of the other tops sitting in the pile. Hoping to find the time this weekend for another finish. Here's a glimpse of the back. 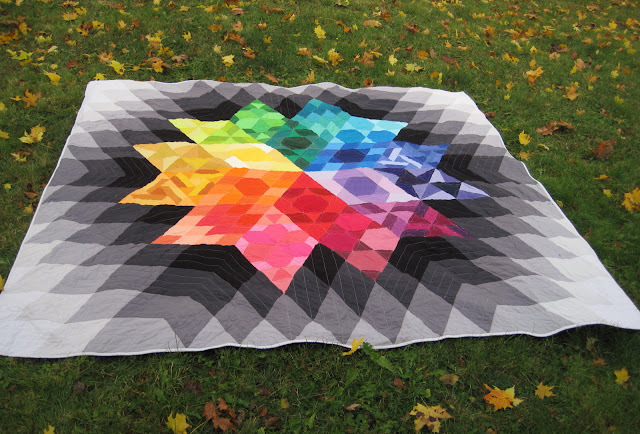 This quilt does not have a home yet, but I'm so pleased with the quilting, I'm tempted to keep it for myself. 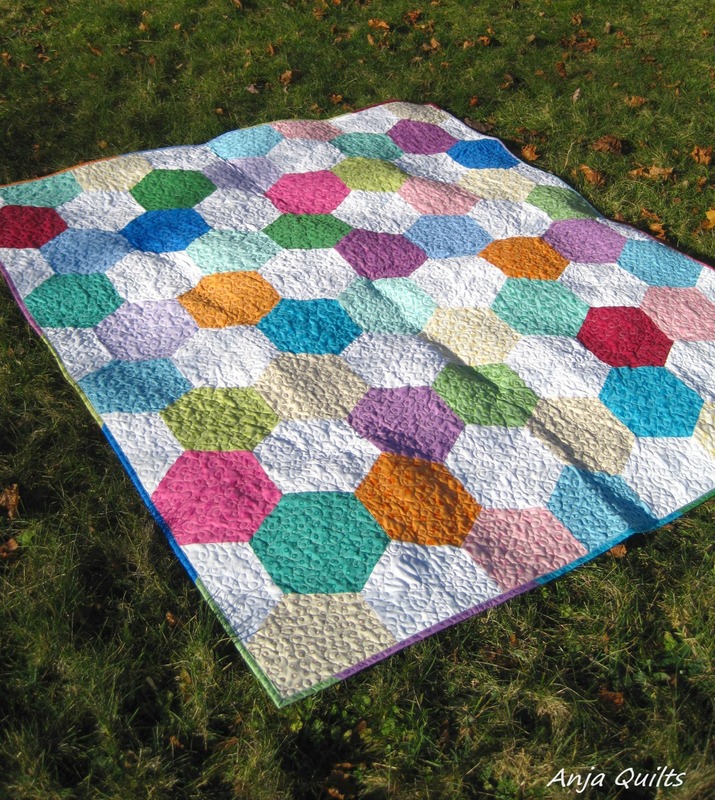 The mystery quilt is starting to take shape!! Cheryl over at Meadow Mist Designs has created this wonderful monthly mystery quilt, and I have been having a lot of fun the past six months. There is still time to join...especially now that you know what the blocks look like. The Court House step blocks that were made back in October were cut into four sections. I suspected that the blocks would be cut because they were so large in comparison to the other blocks, but I was still nervous as I was cutting. 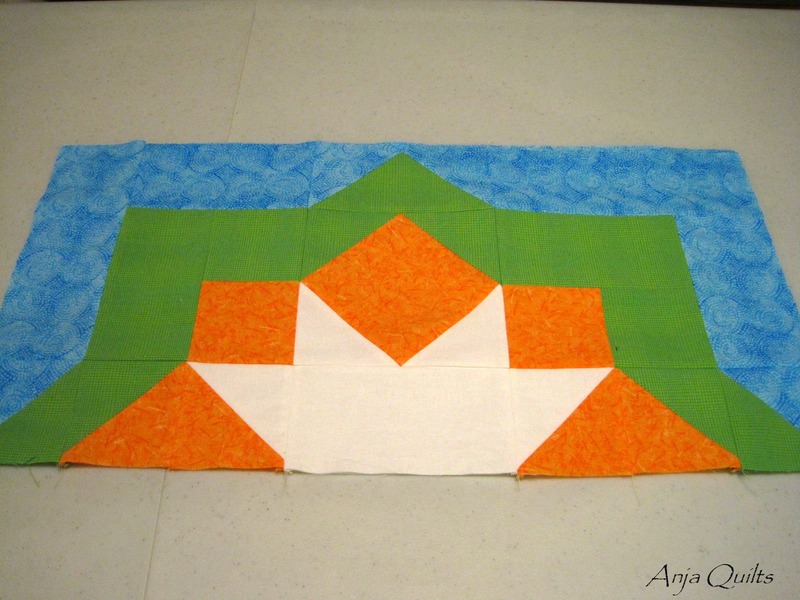 The four sections were then pieced with the sections that were made back in November. And voila! New even larger blocks: eight full blocks and two half blocks. I wish my favourite colour orange had ended up being the large star. But in any event, I still like the block. 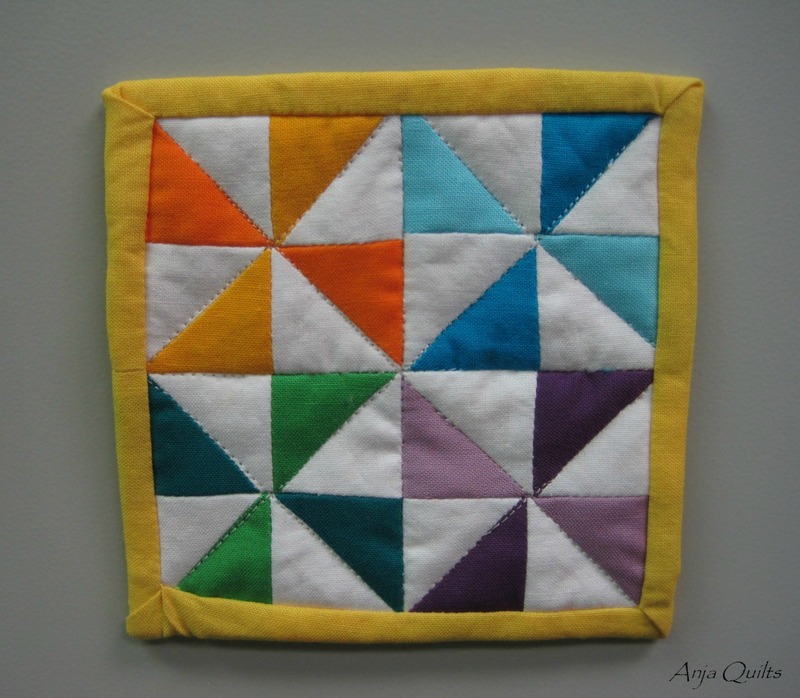 It's been seven months since I began the Gravity quilt journey. Myra @ Busy Hands Quilts hosted the QAL, and you may recall my finished Gravity posted last month. 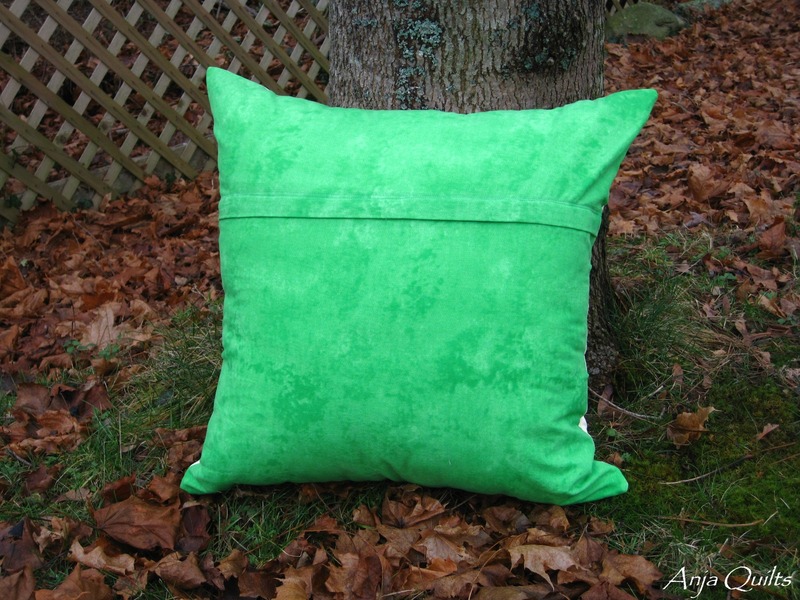 Myra added one more linkup: the Gravity pillow. Since I put so much work into making Gravity, I decided I needed matching pillows. I tried a new tutorial for a hidden zippered back: S.O.T.A.K. Handmade. It's a great tutorial, and I think I'll be doing this from now on, instead of an envelope back. Thanks to Lorna @ Sew Fresh Quilts for pointing me in the right direction. 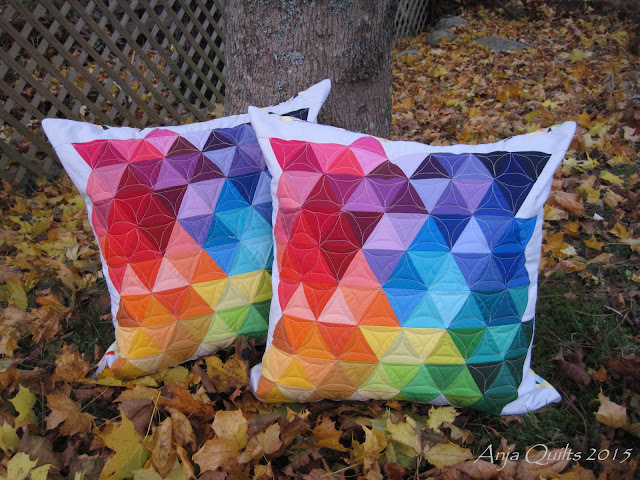 I carried the quilting from Gravity over to the pillows. 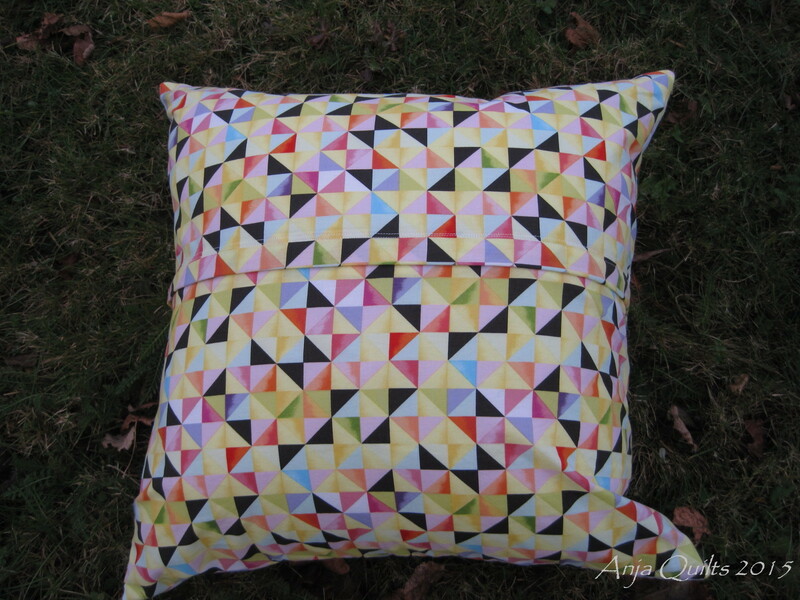 Backing fabric is Flight Patterns by Tamara Kate for Michael Miller Fabrics. Thanks to Myra @ Busy Hands Quilts for hosting this QAL.